There are many levels that a Criterion aficionado can enjoy the trappings of a loaded release. From watching just the movie to all of the myriad documentaries, commentaries, conversations, and assorted ephemera on the various discs. It truly is a “film school in a box” and many of us have learned so much about films and filmmaking through these 40-dollar bargains. The Alexander Street Press takes that concept even further for those fortunate enough to have access to this library-only service. This program has been around since 2000 and offers their content in many areas of humanities and social services. 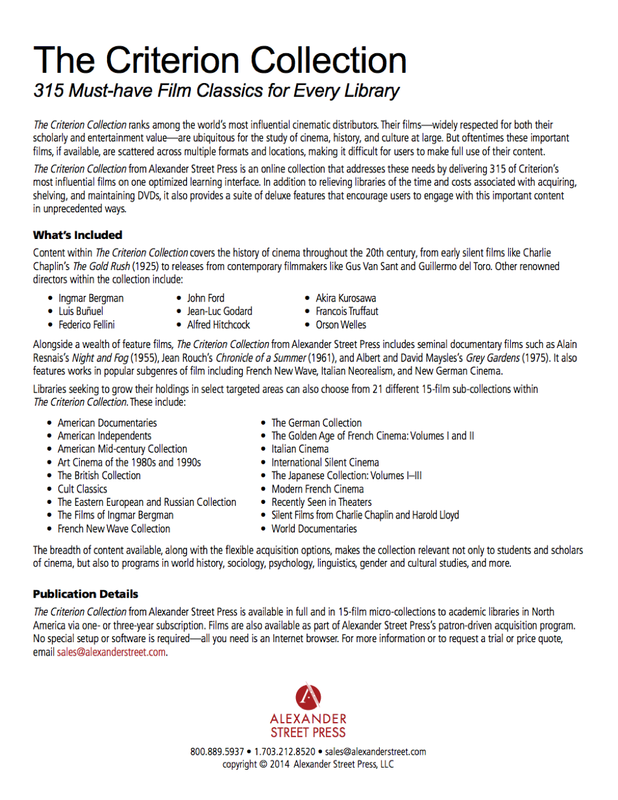 As of mid-2014 they offer a Criterion Collection package of 315 films presented for scholarly review and referencing. 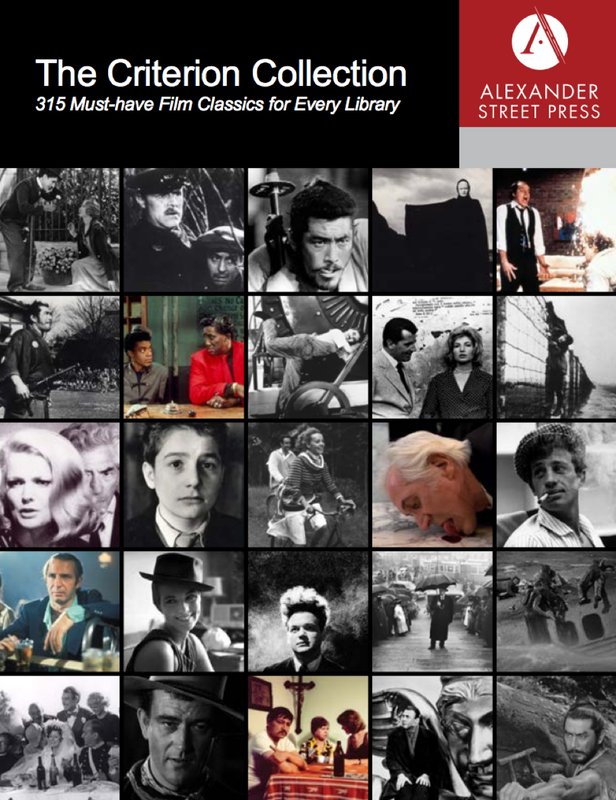 Not only can you watch the films in HD, but you can follow along with the screenplay, cross-reference characters and actors, and correlate it all to other offerings in the Alexander Street catalog. You can find a complete, current list of the titles here. And a full listing of the different collections here. I have not had the pleasure of trying out this fascinating service. None of the county libraries in the Twin Cities area appear to have a subscription. If you have access or know of a local or university library in your area that has this, please let us know your experience in the comments below.